Pig Seeks Duck (and Chocolate) | Come Due Maiali / "Like Two Pigs"
On Saturday morning we woke up to cold rain which soon turned into a nasty, relentless combination of sleet and high winds. 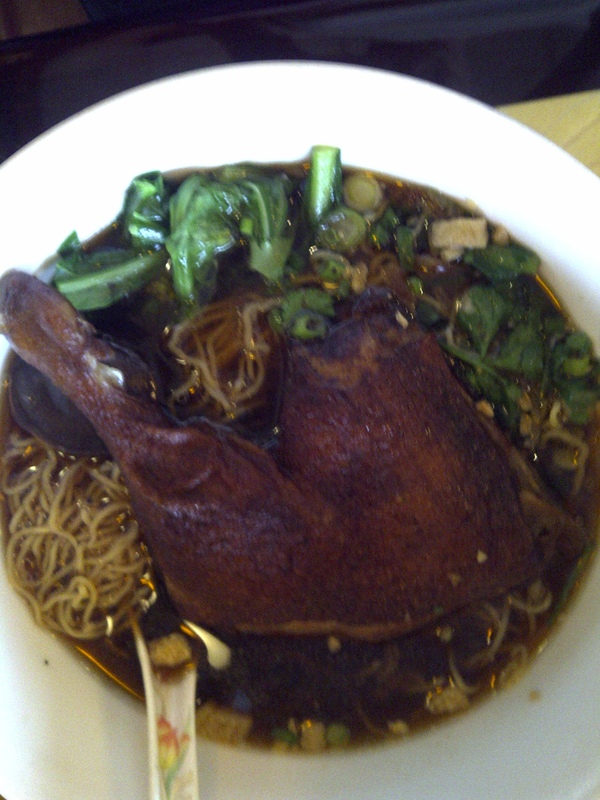 “Lovely weather for duck”, I thought to myself and could almost taste the intense, earthy and rich broth of a duck soup. For me, a big part of eating pleasure is the anticipation, which is both craving the known and preparing your mind and senses “to be surprised”. I am always excited about the prospect of going to Present, an “imperial Vietnamese cuisine” restaurant in Falls Church. Present’s extensive menu is full of such great whimsical names like Warm Heart Piglet, Silken Shawl Imperial Autumn Roll, and Adventurous Bull. The soup I could almost taste that morning was Sleeping Duck on the Golden Pond, which, according to Present, is a “special egg noodle soup with roast duck simmered with herbs and exotic mushroom served in a delightfully enriched broth”. And it features Chinese broccoli, one of my very favorite vegetables! I feel that soups are their real forte; it is obvious that their soup bases are made from bones, not bouillon cubes or other gimmicks; and as far as I know, the kitchen does not use any frozen ingredients. Besides the soups, l always look forward to little things like shaved young lotus root as palate cleanser; lightly salted lemonade (a delicious crushed Vietnamese preserved lemon (Chanh Muối) drink, – a nice counterpoint to a number of dishes, especially lemongrass-infused ones); a “simple” appetizer called Smokey Petals (baby clams sautéed with special herbs and spices, and served on exquisite sesame rice crackers), etc. 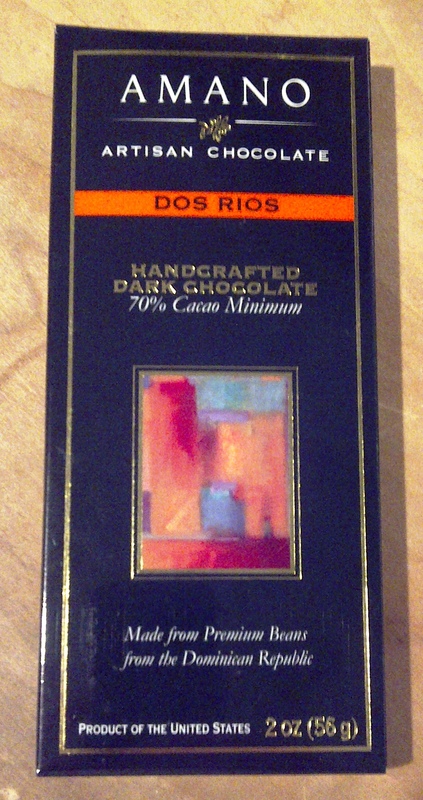 Amano Chocolate (Orem, Utah) Dos Rios 70% cocoa from the Dominican Republic. This entry was posted in DC restaurants, food & wine and tagged Amano, Artisan du Chocolat, bean-to-bar, Biagio Fine Chocolate, chocolate, duck, Fresco, Pralus, Present, salted lemonade, SOMA, Vietnamese cuisine by Come Due Maiali. Bookmark the permalink. 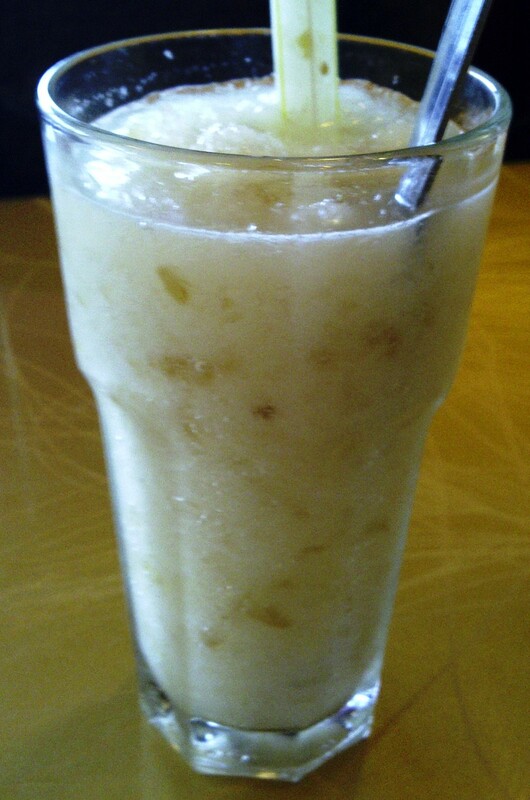 Chanh Muối is one of the world’s great soft beverages. I like to make it hard with gin or tequila 🙂 Our place in Houston makes the best I have had. In Vietnam it was not as common as I wanted it to be this year. I have to try that place. We did not get to Hue on this last trip so I have very little experience with the Imperial Cuisine. Great Post! We have to make a DC run for all these places you list and especially the chocolate shop! As I already said, you are always welcome! On the whole, DC does not have real food snobbery (in the best sense of the word, – passion for quality and authentic food), but a foodie can always find some worthwhile places that rise above mediocrity. I love Vietnamese cuisine! My husband and I went all over Vietnam in a quest to find the perfect bowl of Pho! I’m surprised DC has such great choices… Though, of course my image of DC is museums, suits, and steak houses… Should revisit after the kids leave the nest..
Well, you are not too far off the base…DC does not have as many great choices; besides, “Present” is technically in Virginia which has a great Vietnamese community.